Home and business telephony has come a long way since its early beginnings. Here are some of the highlights over the years from it's very first genesis through to its present day hosted VoIP incarnation. Scottish scientist, Alexander Graham Bell is credited as the inventor of the telephone and was the first to patent an "apparatus for transmitting vocal or other sounds telegraphically". Tivadar Puskás introduced the first multiplex switchboard. These were used to interconnect and establish connections between callers and telephone exchanges. The first use of a rotary dial phone was in 1892. It was based on a patent for the rotary dial phone, filed in 1891 by Almon Strowger, who also invented the automatic telephone exchange. John W. Atkins, manager at International Ocean Telegraph Company (IOTC), made the first international telephone call over telegraph cable. He made the call from his office in Key West, Florida Keys to Havana, Cuba at 9:55am on December 25th 1900. Telephone area codes were first developed by AT&amp;T and Bell Laboratories in the 1940s, and were put into effect in 1947. They covered the US and Canada and was known as the North American Numbering Plan (NANP). STD area codes as they are known in the UK, were introduced in 1958. AT&T launch the first touch tone service with push button keypads. These phones soon replaced the majority of older rotary dial phones. The first mobile phone call was made by Motorola employee, Martin Cooper to Joel Engel in 1973. The first commercially available mobile phone was the Motorola DynaTAC 8000X, in 1983. A real time 16 kb/s voice sample was sent between two computers via ARPANET, said to be the precursor to the Internet. The first ARPANET two-way voice communication took place in December 1974 and is said to be the starting point of VoIP. Sir Tim Berners-Lee invented the worldwide web in 1989. By 1990, the first web page was served on the internet and in 1991, the first web servers were switched on, and accessible to the public, marking the beginning of the modern Internet. Video chat and voice app, Skype launched in 2003, encouraging take up of VoIP within the home environment rather than large scale business or office use due to lack of business features. The very first iPhone was released by Apple. This was one of the very first smartphones with a multi-touch interface and helped usher a change of phones being used for more than just calls. Hosted VoIP is already hugely flexible, scalable, and is fast becoming the go-to method of voice communication for homes and business. 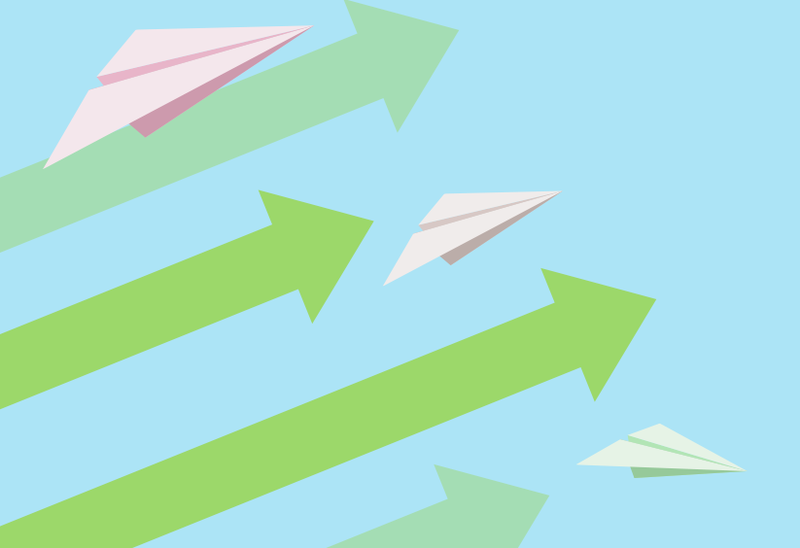 With state-of-the-art Cloud PBX switchboards full of features such as call forwarding, fax to email and voicemail already being offered, there is huge potential for where this method for low cost calling can take us in the future. In addition to VoIP phones, it's already possible to make and receive VoIP calls via desktop computers and tablets, so who knows where this exciting technology will end up. Want to sample the latest VoIP technology? Sign up for a free VoIP trial today, no hardware needed! 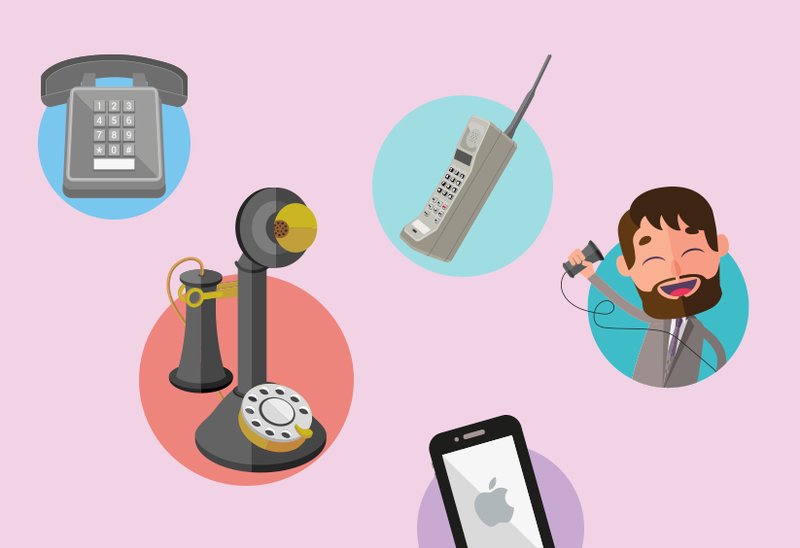 Check out our Evolution of Telephony infogram and share this post on Twitter and Facebook.